New Edith Wharton short story recording released! 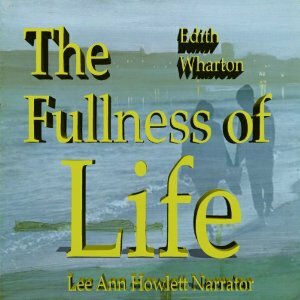 The Fulness of Life, a short story written by Edith Wharton, is Lee Ann’s latest recording for sale at Audible. A woman dies and discovers that the afterlife allows her to choose a soul mate for eternity if she felt she was denied one in life. After complaining that her husband never understood her and had many habits that annoyed her, she is introduced to another soul who seems to be her perfect match. Who will she choose? This story touches on ideas of different types of love and how our wants and our needs may be two very different things. Available for purchase at Audible here. Posted by lahowlett on January 11, 2014 in Uncategorized and tagged American literature, audiobook, Edith Wharton, Literature, short story, The Fulness of Life.